Scientists from Neuroscience Research Australia (NeuRA) and UNSW Sydney are testing eHealth and smart garment technologies to prevent falls in Parkinson’s disease patients. The team has received a grant from the Michael J Fox Foundation and the Shake It Up Australia Foundation for Parkinson’s Research. They are working with industry partner Sensoria Health. 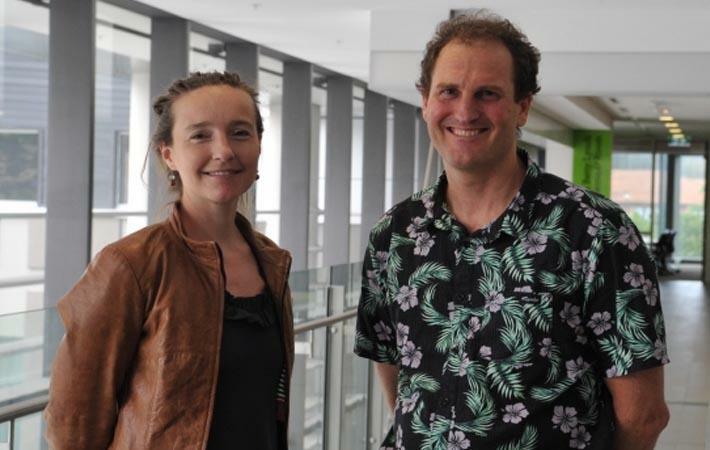 UNSW and NeuRA’s Dr. Matthew Brodie and associate professor Kim Delbaere, who will lead the study, aim to make StandingTall-PD the leading eHealth solution for maximising mobility and preventing falls in people with Parkinson’s disease. The neuro-rehabilitation programme, known as StandingTall-PD, uses visual, audio and haptic sensory cues to help rewire the parts of the brain that control walking in people with Parkinson’s. The programme aims to prevent freezing-of-gait and falls, and enhance participants’ independence. Participants will be given a mat with colour-coded stepping targets, a pair of Sensoria Smart Socks, an iPad and phone. The programme, practised daily, will encourage participants to step on coloured stepping targets that match a series of colours displayed on their iPad. At the same time, they will listen to rhythmic auditory cues like music and a metronome beat that are synchronised with the vibrating Smart Socks. The programme enables participants to self-manage and monitor their own progress via an app on their phone. The app can also trigger stimuli during everyday activities, such as vibration in their Smart Socks, if they are in danger of experiencing freezing-of-gait, falls or if they show signs of shuffling feet. Clinicians can also monitor participants’ progress remotely and adjust the programme to provide ongoing and personalised continuity of care.